How can I track an activity or workout? How to let your coach know whether you completed a workout/activity and how you felt about it. Tracking an activity is really easy to do, and it lets your coach know when you've completed something on your schedule. This is important, as your coach can see which activities you complete, and which you don't, so that they can adjust your schedule accordingly. Click on the activity in your schedule that you'd like to track. You'll then be sent to a next screen describing the activity. Click on the green 'Track activity' button at the bottom of the screen. You'll then be sent to a new screen, showing you your options for tracking your activity. 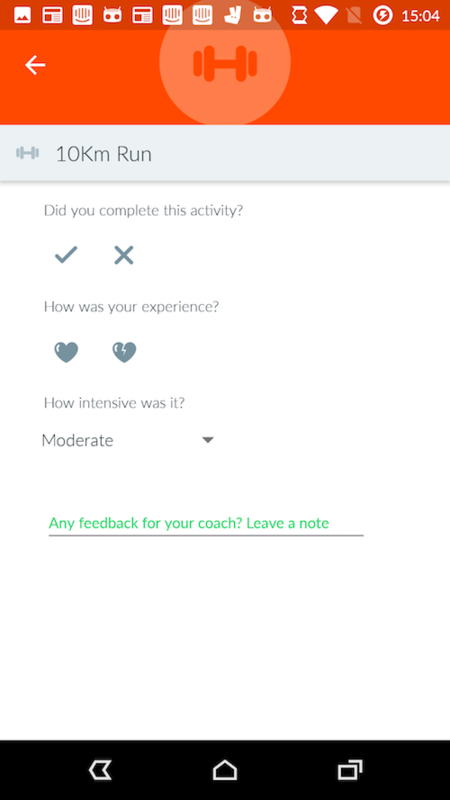 Here you can let your coach know if you completed the activity, your opinion of it, and how intense you felt it was. There's also the option of writing out your own notes too. When tracking an activity, click on the green icon, and 2 options appear - notes and track activity. Click on the green icon again to confirm that you want to track an activity. You are then taken to the tracking screen. 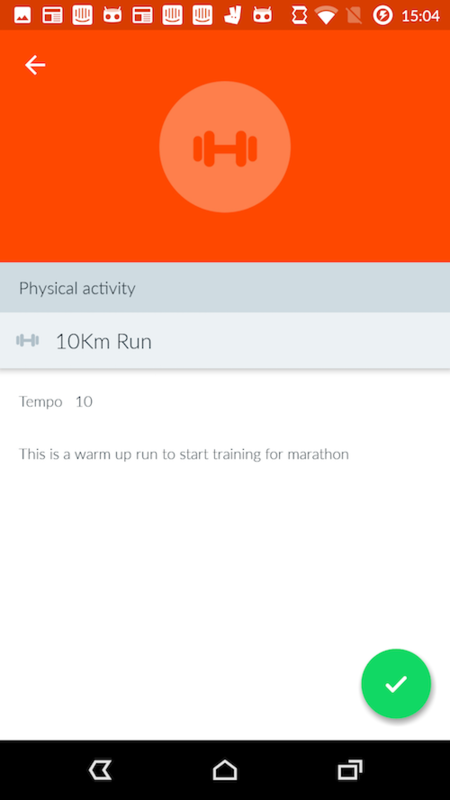 From this screen, you can let your coach know if you completed the activity, and how you found it. When tracking a workout, click on the green icon, and 3 options appear - notes, track and start workout. In this case, click the smaller blue icon with the checkmark to go to the tracking screen. Finally, when in a workout you can alternatively track an activity when the workout has ended.